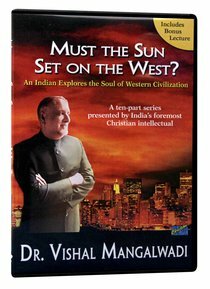 Vishal Mangalwadi (1949-) (LL.D., William Carey International University, Pasadena, CA) is an international lecturer, social reformer, political columnist, and author of thirteen books. Born and raised in India, he studied philosophy at universities, in Hindu ashrams, and at LAbri Fellowship in Switzerland. In 1976 he turned down several job offers in the West to return to India where he and his wife, Ruth, founded a community to serve the rural poor. Vishal continued his involvement in community development serving at the headquarters of two national political parties, where he worked for the empowerment and liberation of peasants and the lower castes. His first book, The World of Gurus, was published in 1977 by India's Vikas Publishing House, and serialized in Indias then-largest weekly, Sunday. It was Mangalwadis books, In Search of Self and India: The Grand Experiment, that first brought his works to the attention of the American public. Most recently he has released Truth and Transformation.